By Peter Alexander Feb. 7 at 4:15 p.m. Soprano Mary Wilson is looking forward to her appearance with the Boulder Philharmonic Saturday (7:30 pm. Feb. 9 in Macky Auditorium). “It’s a real dream program for soprano,” she says. Under the title “The Heavenly Life,” the program includes two pieces with soprano solo that reflect the voice of a child, but with deeper currents: Samuel Barber’s nostalgic Knoxville, Summer of 1915 and Mahler’s Symphony No. 4. The program also features portions of Mark O’Connor’s Strings and Threads with the Phil’s concertmaster Charles Wetherbee as soloist. Michael Butterman Photo by Jiah Kyun. The Fourth marks the end of Mahler’s first group of symphonies that share the common feature of being related to the composer’s songs written on texts from a single collection of poetry, Des Knaben Wunderhorn (The boy’s magic horn). The finale is a setting of one of the Wunderhorn texts, a song that Mahler called “Das himmlische Leben” (The heavenly life), from which the concert takes its title. Originally conceived as a possible finale to his previous symphony, the movement was written before the rest of the Fourth. As he worked his way toward the already completed finale, Mahler anticipated its themes and mood of gentle lyricism in the earlier movements. The entire symphony has a cheerful cast, from the very opening with flutes and sleigh bells through to the end. Even the second movement’s macabre fiddle solo that represents “Freund Hein,” a medieval German symbol of death, is mostly lighthearted in nature. There are darker moments. The text describes how “we lead an innocent, dear little lamb to its death” for the meal, and “St. Luke slaughters an ox.” But in this childlike heaven, even the animals seem happy to become meals. Knoxville, Summer of 1915 is a setting for soprano and small orchestra of a prose piece by James Agee, published as a preamble to his Pulitzer Prize-winning book A Death in the Family. As such, it is both a nostalgic remembrance of an idyllic moment in Agee’s childhood and a poignant prelude to a family tragedy. The text describes a lingering summer evening on the porch and in the backyard of Agee’s family home, where the child is surrounded by a loving family. It is presented from the perspective of both a five-year-old child and an adult looking back on his lost innocence. She finds that living in Tennessee the past 11 years has given her an extra appreciation for Agee’s description of summer nights. “I live in Tennessee now and I hear the cicadas, which I didn’t have growing up in Minnesota,” she says. O’Connor’s Strings and Threads is a set of 13 short movements written to trace a thread of American folk music, and reflecting the history of his own family, moving from Ireland to Appalachia and westward across the continent. “The work is for string orchestra and violin solo, you might call it fiddle solo, because the pieces are written in this kind of folk idiom,” Butterman says. The combination of O’Connor, Barber and Mahler is an unusual variation on the usual orchestral program of overture, concerto and symphony, but Wilson has no doubts. “It’s brilliant programming!” she says. By Peter Alexander April 20 at 4:30 p.m.
Leonard Bernstein has become the singular enduring icon of American concert music. His Broadway hit West Side Story, his leadership of the New York Philharmonic, his televised music education programs, his membership in the jet-set glitterati of the arts world, his famous performance of Beethoven’s Ninth on the site of the fallen Berlin wall—these made him the most recognizable classical musician in the world. As such, he was one of the most influential cultural figures of his time. The 100thanniversary of Bernstein’s birth arrives in August of this year, and his centennial is being celebrated by virtually every orchestra in the country. That includes the Boulder Phil, whose sold-out concert performance of West Side Story leads local celebrations. While that performance has gotten the most attention, another, more intimate concert will take place Monday evening that explores some lesser known corners of Bernstein’s creativity (7 p.m. April 23 in Boulder’s Jewish Community Center). “Bernstein at 100: Leonard Bernstein in Concert” was put together by Eve Orenstein, the Phil’s director of development. Wanting to bring the larger community into the celebration, she contacted local musical organizations and musicians, assembling a program of solo and duo performances that will also include spoken tributes to Bernstein by Butterman, pianist Andrew Cooperstock from the CU College of Music, and Kathryn Bernheim, cultural arts director of the JCC. Two of the Phil’s musicians will perform: concertmaster Charles Wetherbee will play an arrangement of “Somewhere” from West Side Story and clarinetist Stephanie Zelnick will perform Bernstein’s Sonata for Clarinet and Piano. Both will collaborate with Cooperstock, who has recorded Bernstein’s complete solo piano music. Cooperstock will also play two shorter solo pieces. Tenor Eapen Leubner will perform “Maria” from West Side Story and “Two Love Songs on Poems by Rainer Maria Rilke” with pianist Mac Merchant. Also performing with Merchant, vocalist Faye Nepon will sing “So Pretty,” and “Lucky to be Me” from On the Town; and soprano Rose Sawvel will sing the “Simple Song” from Bernstein’s Mass, “La Bonne Cuisine,” and the showpiece “Glitter and be Gay” from Candide. This diverse program ranges from the serious (Clarinet Sonata) to the more humorous (“La Bonne Cuisine”) to pure entertainment (“Glitter and be Gay”). As such, it complements the familiar West Side Story and gives audiences a chance to expand their musical horizons—which was the constant goal of Bernstein’s own teaching. The performance of West Side Story itself is noteworthy. For one thing, the fact that it sold out ten days in advance shows both the draw of Bernstein’s show, some 61 years after its premiere in 1957, and the success of the Phil’s programming for the Boulder community. There have been a few sellouts in recent years, but none as far as 10 days in advance. It is also noteworthy that the Boulder Phil is one of the first, if not the first regional orchestra to present West Side Story in concert. The Bernstein estate had not permitted concert performances until 2014, when conductor Michael Tilson Thomas and the San Francisco Symphony received their consent. Since then several orchestras have done the concert version, although it remains more popular to perform the music live with the 1961 film. For Saturday’s performance, the orchestra will be seated on stage and the actors will be limited to the front apron and a single raised platform behind the players. In a score as complex as West Side Story, this could create challenges keeping orchestra and singers together, but stage director Robert Neu is not particularly worried. A larger issue for Neu is that dancing, which creates so much energy, is only allowed in fully-staged productions. For concert performances the use of any choreography is forbidden. I shook Bernstein’s hand and collected his autograph once when I was in high school. Many of us in the musical world had such brief or tangential contacts with him. But his influence on our national musical life is far greater than any individual’s near or remote degree of separation. “Because of the breadth of what he did, he became larger than life,” Butterman says. Last night the Boulder Philharmonic and conductor Michael Butterman ended a remarkable season with a remarkable concert, one of the most interesting they have done. The mostly-Italian program included one of the most brilliant orchestral showpieces of all time, a world premiere, and several pieces that are rarely played. If you love making new discoveries, as I do, this was a fun program. First the world premiere—and the one non-Italian piece on the program: Invisible Cities, Double Concerto for violin, guitar strings and percussion by Stephen Goss. The composer is Welsh, although the concerto is based on the fascinating novel of the same title by the 20th-century Italian writer Italo Calvino. Soloists were Charles Wetherbee, violin and Nicolò Spera, guitar. The novel imagines a series of conversations between Marco Polo and the Mongol Emperor Kublai Khan. In an intricate design, the novel has Polo describe 55 cities to the Emperor, all of which turn out to be facets of Venice, his home. Dispersed among the cities are a series of conversations, in which Polo and Kublai Khan are gradually able to communicate more clearly across their linguistic and cultural barriers. In a similarly intricate design, the concerto alternates between orchestrally accompanied movements representing cities and duos without orchestra representing the conversations. Particularly ingenious are the duos, which represent musically the growing accord between Polo and the Emperor through music of growing lyrical beauty. The musical design is clever but not cryptic, and it is executed without ever seeming forced. The piece as a whole is accessible, expressively convincing and well constructed. This is a work of significance that should be taken up by other guitar-violin duos. The style is largely based in conventional gestures of contemporary orchestral music. If not original, the musical elements are used to good effect, as listeners can recognize and enter the expressive realm of each movement. Where the music is more imaginative, as in the interaction between the soloists, the creativity is never originality for originality’s sake; it always serves the expressive goals. The soloists played with sweet expression together, and with greater intensity when required. Their sounds were well balanced, reflecting prior work together as a duo. At their best they rose to all the demands of Goss’s pleasing new work. The two works preceding the concerto were undoubtedly new discoveries for most in the audience, and both were 20th-century pieces based on older music. The first was Stravinsky’s Monumentum pro Gesualdo, orchestral arrangements of uniquely strange and adventurous Renaissance madrigals by Carlo Gesualdo. Stravinsky’s setting is strange in its own way, with discontinuous bits of harmonic and instrumental color shifting about the orchestra and managing to sound like both Gesualdo and Stravinsky. This score, nicely played last night, fits the Boulder Philharmonic and its outstanding individual players well. That was followed by Luciano Berio’s Four Original Versions of Boccherini’s Return of the Nightwatch from Madrid. Sometimes an enfant terrible of modern music, Berio also wrote highly approachable scores built from older music, of which this is one. Four different versions of a movement by the 18th-century Italian composer Boccherini are arranged for modern orchestra and layered on top of one another. At times they match perfectly, but at other times they do not, creating delicious and unexpected dissonances that pass quickly. Depicting the approach and departure of the Nightwatch, the score culminates in a rousing setting of the tune, and then dissipates into silence. It was played with verve, as once again the individual contributions of the players fit well into the orchestral mosaic. After intermission, Butterman and the orchestra gave an invigorating reading of Verdi’s Overture to Nabucco, with all the turns of mood well traversed and quite a bit of excitement for the explosive ending. Puccini’s Chrysanthemums, an ingratiating minor work, was played with expression, if not the plush, ermine-fringed sound one would like to hear. The concert ended with a sure bet, Respighi’s Pines of Rome, a piece guaranteed to rouse the audience from their seats. In the hands of the Boulder Phil, Respighi’s orchestra worked its magic: it shone when it should shine and sparkled when it should sparkle, the sudden contrasts were contrasting and the abrupt changes of scene were well delineated. The winds deserve special recognition, from the brass flourishes in “The Pines of the Villa Borghese,” to the delicate woodwind solos of “The Pines of the Janiculum,” to the massive fanfares of “The Pines of the Appian Way.” Once again the Roman Legions advanced, a brass choir sounded from the balcony—although how effectively depended on where you were sitting—and Respighi brought the crowd to its feet. You could not have a more rousing ending for a season. That’s the question being asked—and at least partly answered—by the Dairy Center for the Arts and music curator James Bailey on their Soundscape program at 2 p.m. Wednesday (Feb. 10). It is the pieces themselves that justify the adjective “inventive.” What is most surprising, however, is the fact that Mazzoli’s works will be presented in alternation with—of all things—the movements of Bach’s monumental Partita in D minor for solo violin, performed by Boulder Phil concertmaster and CU faculty member Charles Wetherbee. “The motivation to include the Bach was because I have a solo violin piece called ‘Dissolve, O My Heart,’” Mazzoli explains. “It was a commission from the violinist Jennifer Koh, who did a project called ‘Bach and Beyond.’ She commissioned pieces based on existing works by Bach, and my piece (is based on) the famous solo violin Chaconne from the D-minor Partita. The complete list of Mazzoli’s pieces on the program will be: Tooth and Nail for viola and electronics, performed by Wetherbee; Orizzonte for piano and electronics, performed by Mazzoli; A Thousand Tongues for piano and electronics, performed by Mazzoli; Dissolve, O My Heart for solo violin—the piece based on the Bach Chaconne—performed by Wetherbee; and Quartet for Queen Mab performed by the Altius String Quartet, the award-winning Fellowship String Quartet in Residence at CU, Boulder. Mazzoli and Kotche. Photo by Michael Woody. Victoire. Photo by Stephen Taylor. Mazzoli does not deny these varied sources. “Studying classical music you would be surrounded by all of that, so yeah, I claim all of them proudly,” she says. “It’s become kind of a cliché to say, oh I have so many diverse interests, I’m interested in pop music as well as classical music, but I think it’s kind of a natural state growing up in the ‘80s. But Mazzoli doesn’t want listeners to get hung up on labels or influences. “I want people to just hear music for what it is,” she says, “and to maybe be intrigued by one of those phrases, because it can sound like any one of those things. The Feb. 10 Soundscape concert is only one of many events exploring the world of contemporary musical performance to be presented by the Dairy Center this spring. The full schedule is listed below; visit the Dairy Center Webpage for updates. After a sold out concert last season, the tango band from Texas returns to perform with the Boulder Chorale Chamber Singers. One of Boulder’s most innovative groups, Throw Down or Shut Up is a faculty quartet from the University of Colorado, Boulder. They will share the concert with Trio Cordillera another CU faculty trio, performing Argentine and Spanish music. Winners of the silver medal at the 2014 Bischoff Chamber Music Competition, the Altius Quartet was selected to perform at the Melbourne International Chamber Music Competition. At the Dairy they will perform selected movements from quartets by Beethoven, Mendelssohn, Stravinsky, Bolcom—and Led Zepplin! A concert of music featuring some of Colorado’s most talented high school performers and ensembles. The Voxare String Quartet from New York City the soundtrack to Russian filmmaker Dziga Vertov’s remarkable 1929 silent masterpiece The Man with the Movie Camera. An evening with the guitarist and singer/songwriter Wendy Woo, together with musical artists from her 25 years on the Colorado music scene. The concert will be preceded by a First Friday reception in the new Dairy lobby. For Boulder Arts Week, the Dairy will present an evening of duets, including Irish, Indian and Turkish duos. Two performances will also feature Boulder’s Frequent Flyers aerial ballet group. The internationally renowned string quartet returns to the Dairy with a new program. A concert with the David Fulker Quartet and jazz singer Robert Johnson in a program of jazz standards thematically wrapped around an unusual short story by Kurt Vonnegut. Brad Goode, Boulder’s jazz trumpet virtuoso, will appear with his traveling quartet and jazz vocalist Sheila Jordan. This Dairy collaboration with the Boulder Jewish Community Center and the University of Colorado School of Religious Studies will focus on chamber music by composers who were lost in the Holocaust. 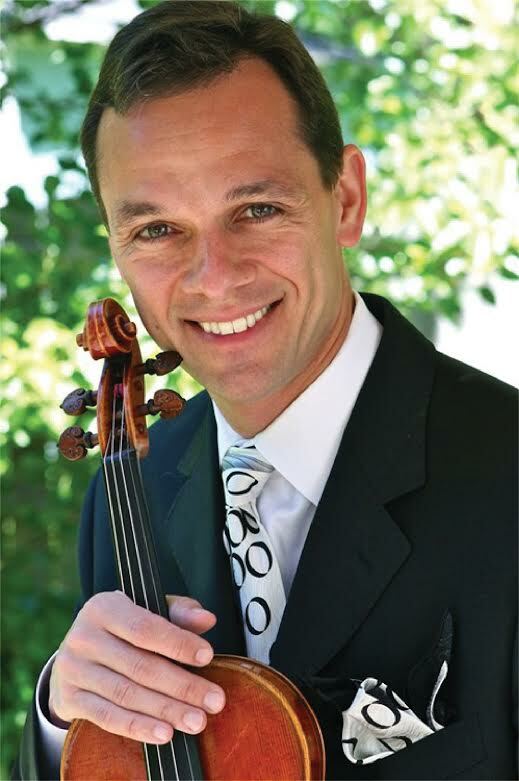 The Boulder Philharmonic’s 2015–16 season is titled “Reflections: The Spirit of Boulder,” but the orchestra will open the season by telling stories. The season’s opening concert under music director Michael Butterman will be at 7 p.m. Sunday, Sept. 13, in Macky Auditorium — a departure from the orchestra’s standard 7:30 p.m. Saturday concert dates. The program will feature music that tells stories, two soloists with their own stories, and one great concerto that is a story in itself. Butterman will conduct Ravel’s Mother Goose Suite; The Storyteller for violin and orchestra, inspired by Japanese folk tales and written by Korine Fujiwara for the orchestra’s concertmaster, Charles Wetherbee; and Rachmaninoff ’s Piano Concerto No. 2, the piece that salvaged the composer’s career, performed with pianist Gabriela Montero, who has been acclaimed both as “an exciting pianist” (The New York Times) and for her “spectacular improvisation” (Cincinnati Enquirer). That’s a lot of stories for one concert.